This is my pet, named violet. 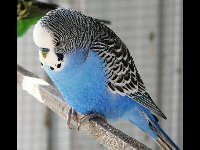 Parakeet is a word for various small to medium sized parrots. 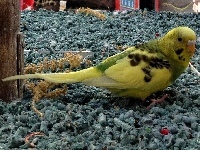 Parakeets can learn to copy your voice if you repeat words to them a lot when they're young. Baby parakeets have the entire front part of their heads covered with stripes. As they get older, the strips turn all white. 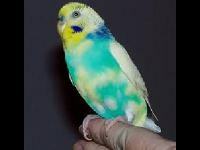 Parakeets will let you hold them on your finger if you let them get comfortable with you gradually. 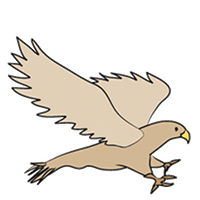 If you have your parakeet's wings clipped it won't be able to fly very far from you.